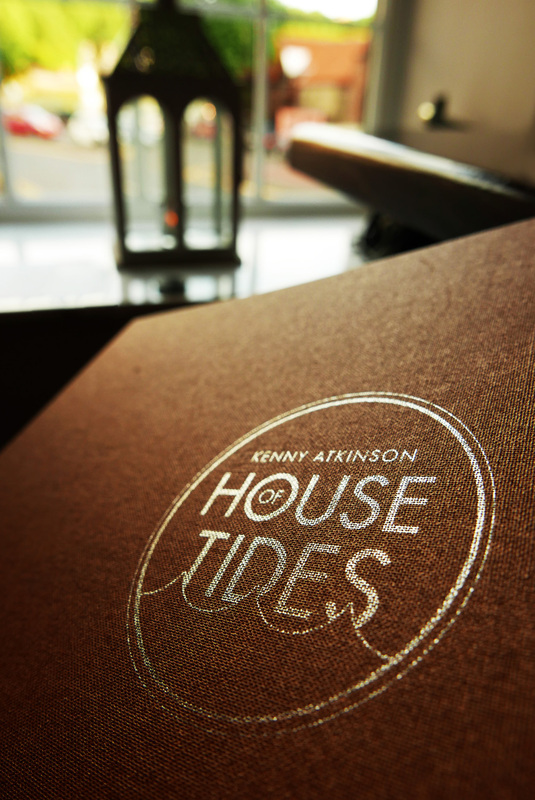 Kenny Atkinson opened up the House of Tides on the Newcastle Quayside in 2014 and very quickly gained his first Michelin star in 2015. 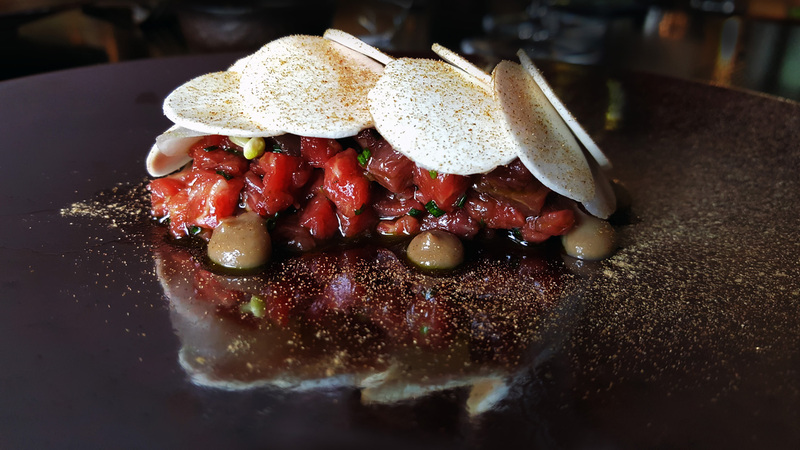 Good quality and well sourced ingredients that are well matched up and then very accurately cooked and presented with no gimmicks is what it`s all about here. 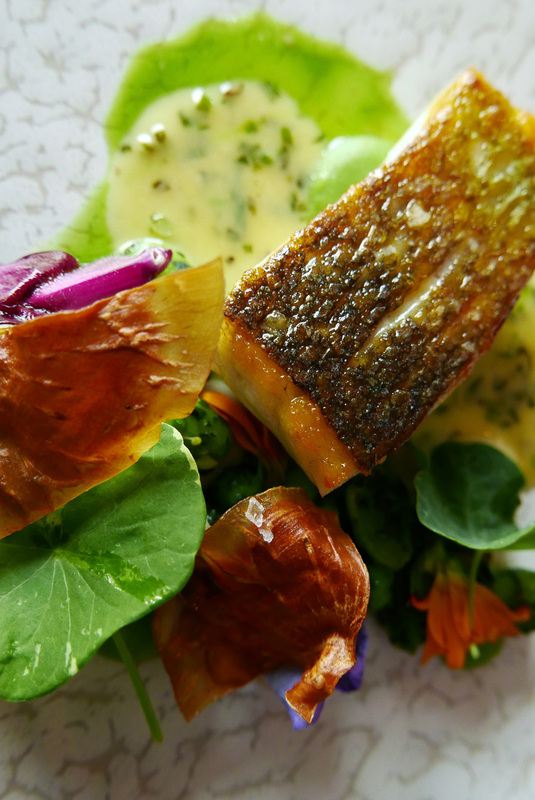 This was my second experience of Kennys cooking , my first was when he was heading up the kitchens at Rockliffe Hall. On both occasions absolutely no complaints at all. Accomplished cooking skills and food that tasted of what its meant to be. Chef Kenny was straight out of the kitchen upon our arrival and departure, a fantastic guy , totally down to earth and one of the most genuine and friendly chefs in the business. 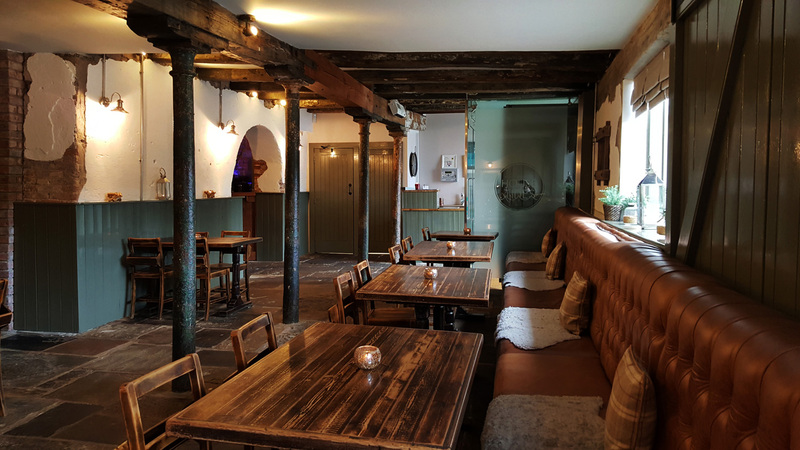 Kenny explained that the restaurant was doing really well , constantly full and ideally placed for getting the full benefit of passing trade. 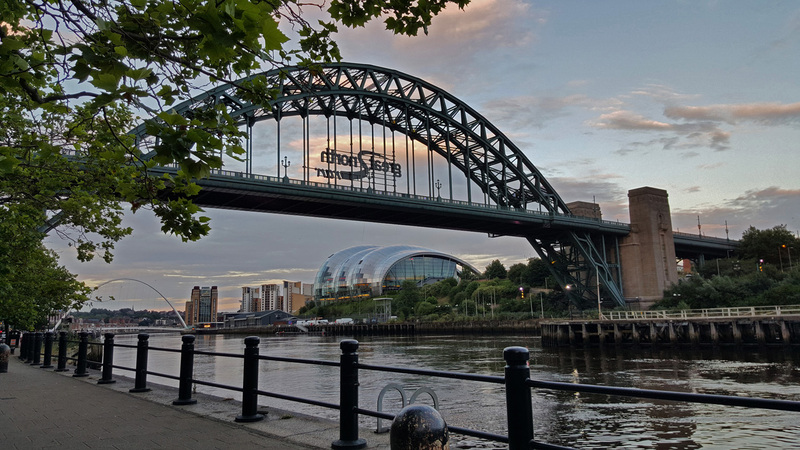 The immediate area is full of modern bars , Cocktail bars and lots of restaurants serving great food. 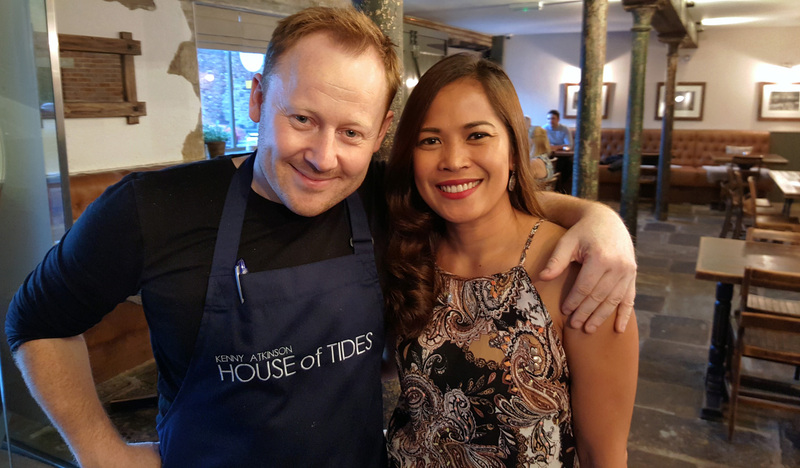 The Michelin stars aren`t being chased at the House of tides as it`s all about getting bums on seats by offering very well cooked food with decent wines , happy staff and a buzzy very relaxed dining experience. 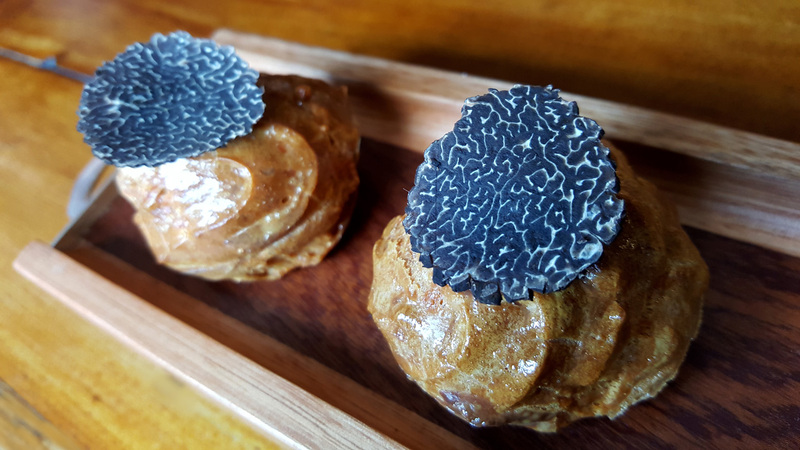 GOUGERE WITH BLACK TRUFFLE – This treat arrived whilst we perused our menus. Fresh out of the oven with the earthy truffle aromas filling the air , beautiful. 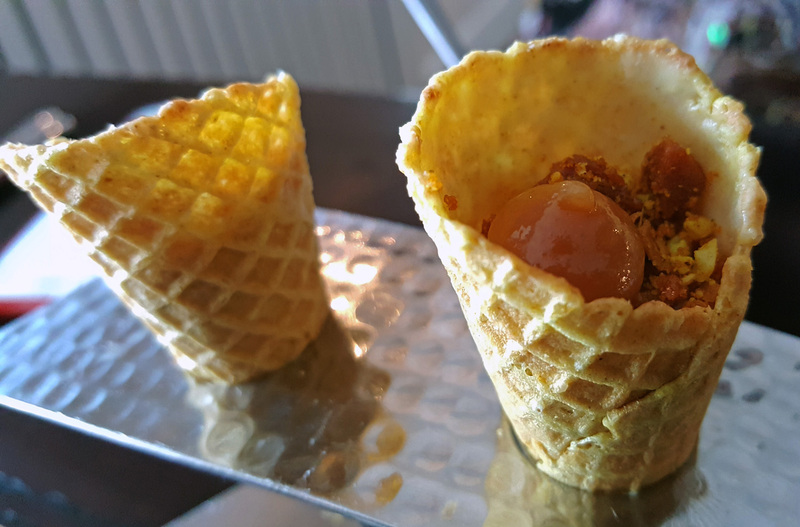 CARROT MERINGUE , CARROT CURD , FENNEL POLLEN – Feather light meringues to pop down in one bite. 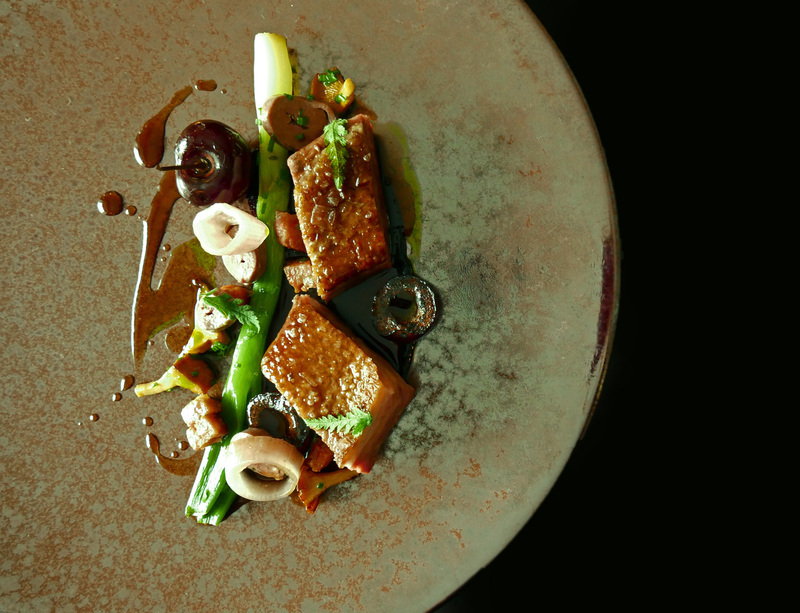 CHICKEN LIVER , CURRY , GOLDEN RAISINS. 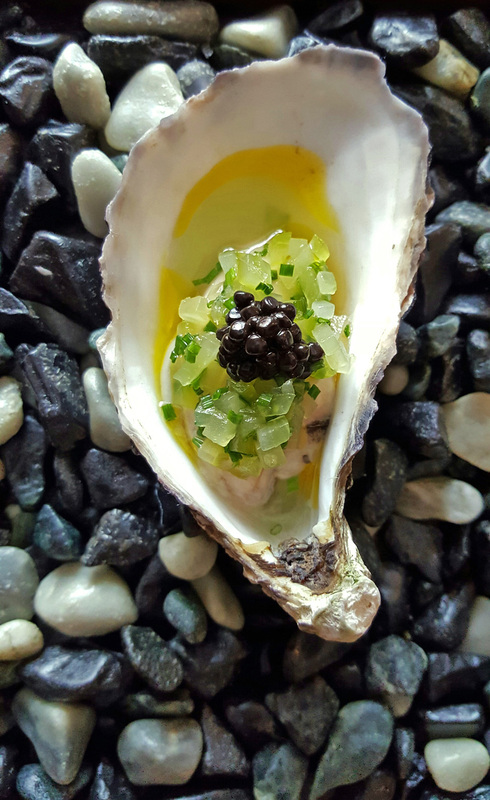 LINDISFARNE OYSTER , CUCMBER AND GINGER – I`m not a fan of Oysters but I`ll eat them every time they`re put in front of me. It actually wasn`t too bad this time. 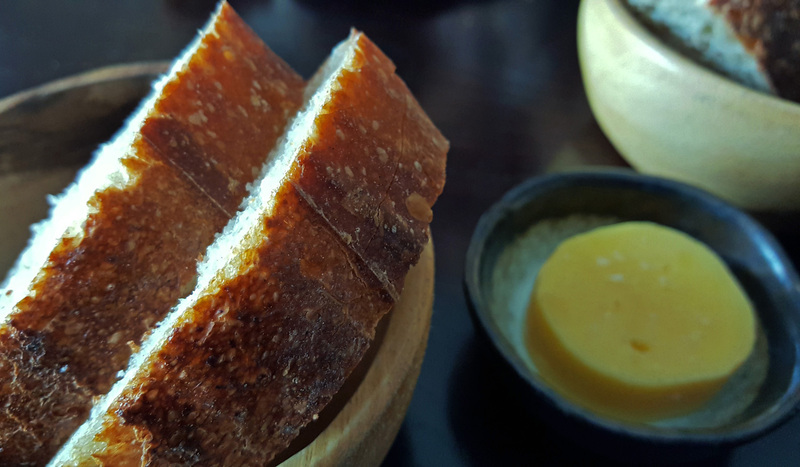 FERMENTED RYE BREAD WITH GRANT HARRINGTONS CULTURED BUTTER – Great Bread , well baked crust and full of flavour. Every restaurant needs to have Bread like this and if you can`t bake decent Bread then go source it from an Artisan Baker and buy it in. 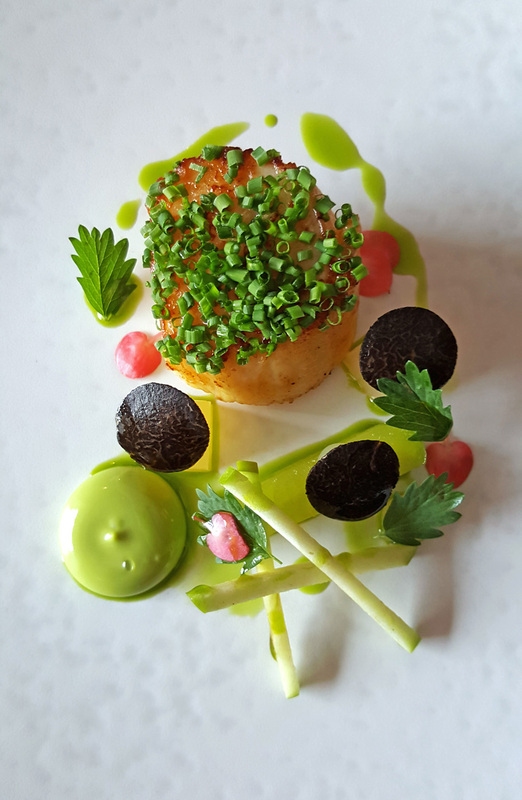 ORKNEY SCALLOP , LOVAGE , APPLE , BLACK TRUFFLE – Huge hand dived Scallop cooked to perfection , WOW. 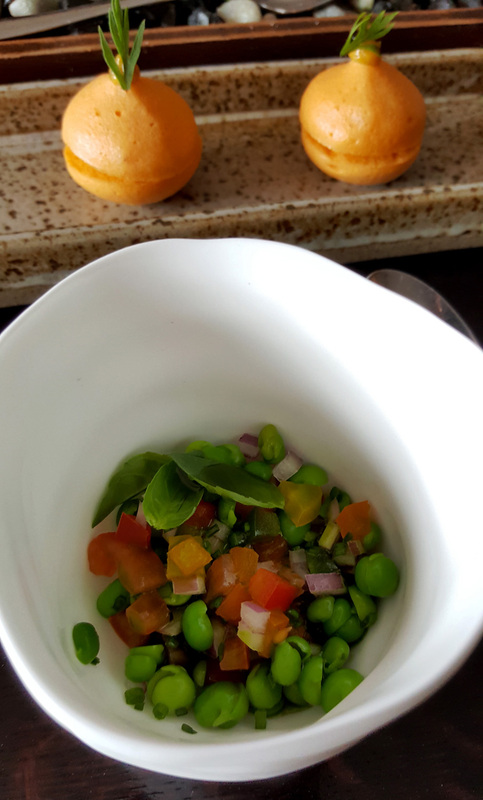 I can imagine having half a dozen of these as a main course , i`d be extremely happy. 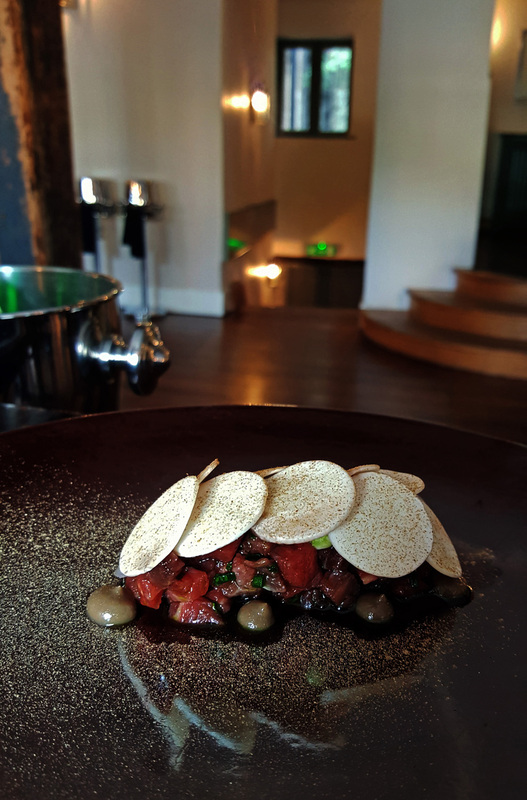 GALLOWAY BEEF TARTAR , MUSHROOM , TURNIP – Plain and simple dish that lets the prime ingredient shine. 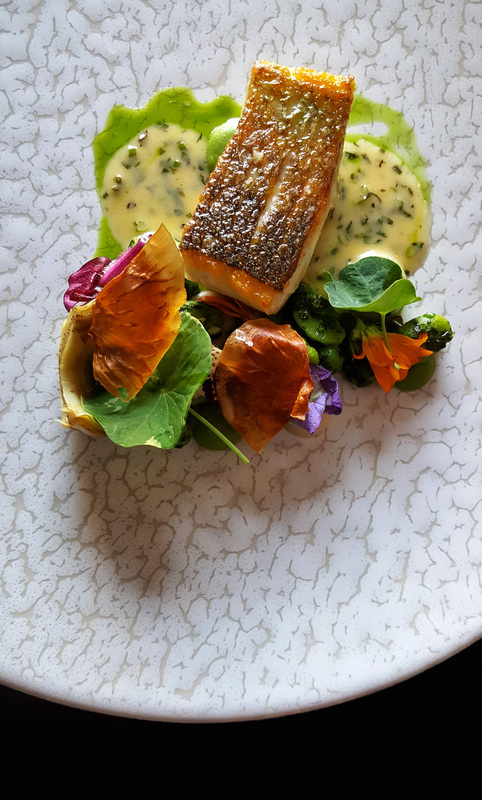 SEA BASS – Beurre Blanc , Garden produce. 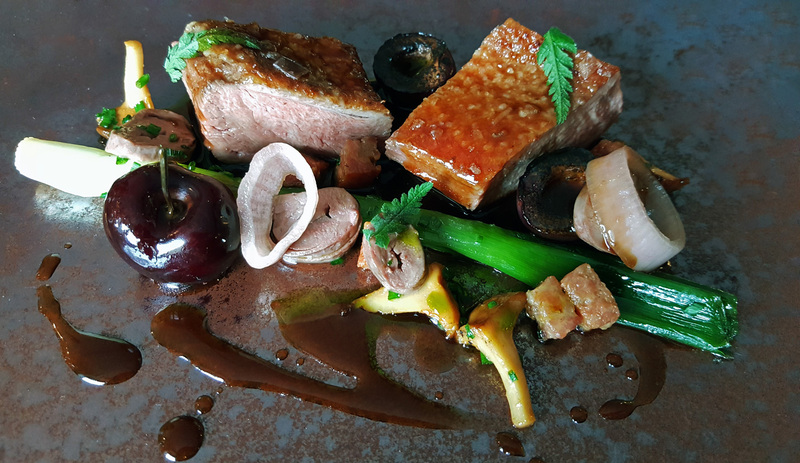 GOOSNARGH DUCK , CHERRY , SPRING ONIONS , MORTEAU SAUSAGE – Everything worked together really well here , seasonal ingredients which were well cooked with no frills or gimmicks. 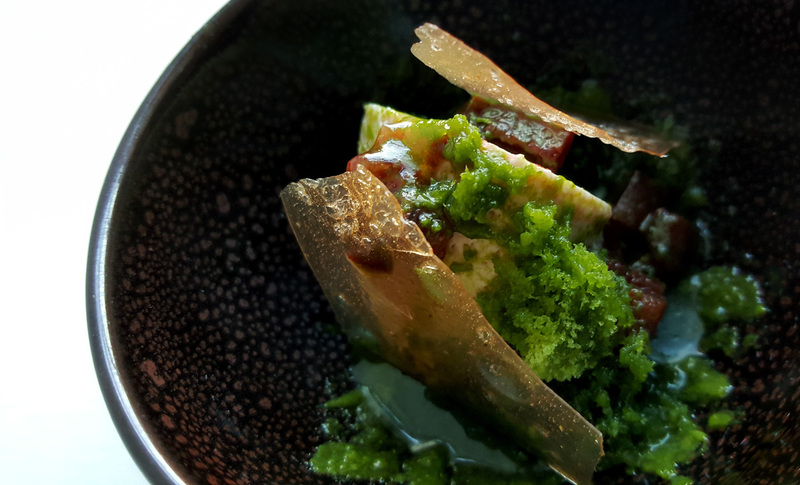 PEACH , ELDERFLOWER , LEMON VERBENA – Lovely fresh Summer flavours , gone in seconds. 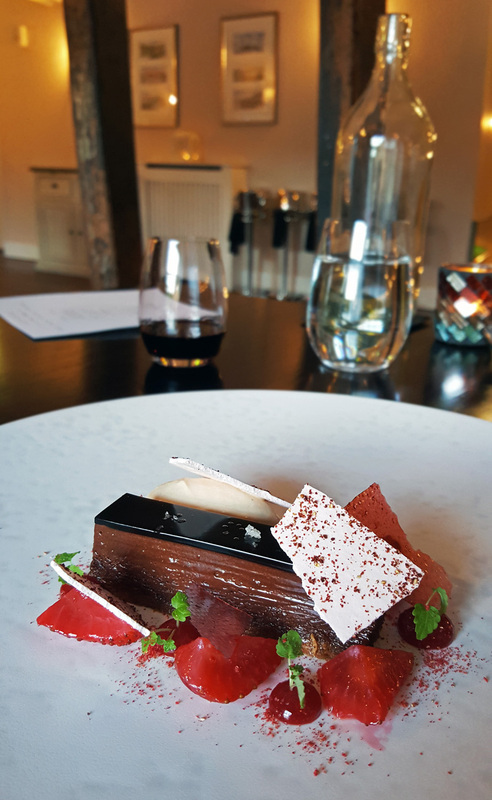 81% KUMBAO CHOCOLATE , STRAWBERRIES AND TEA – I ate this one very slowly and savoured it with a nice dessert wine. Good quality Chocolate and Strawberries , need I say more ? 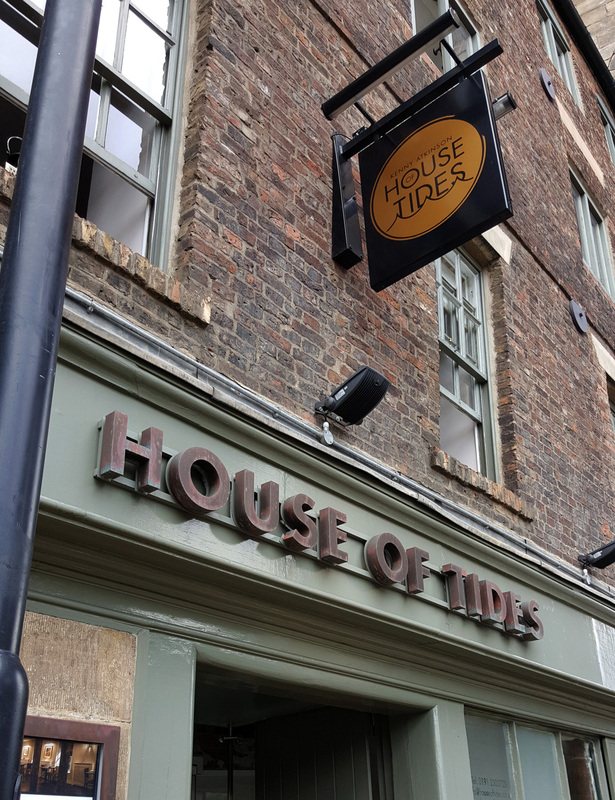 So the food at The House of Tides was really good , a lovely and very casual fine dining experience with some pretty decent Wines. There`s an amazing Cocktail bar next door so my suggestion is to pop straight in there for a nightcap. 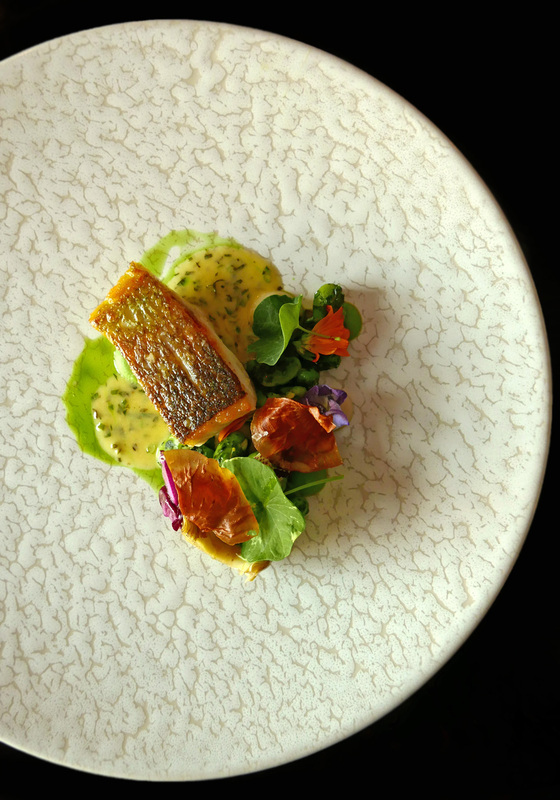 My one and only complaint is that Chef Kenny`s main signature dish was missing…The Mackerel wrapped in fried bread with Gooseberries . I would have killed for that on my menu , as would an awful lot of other diners. 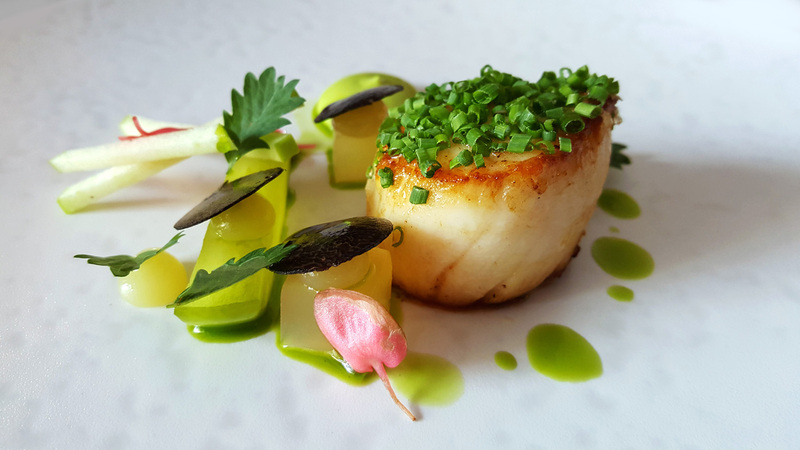 Maybe the guys in the kitchen are fed up of making this dish but my view is that it should never be off the menu along with a few other Atkinson classics. 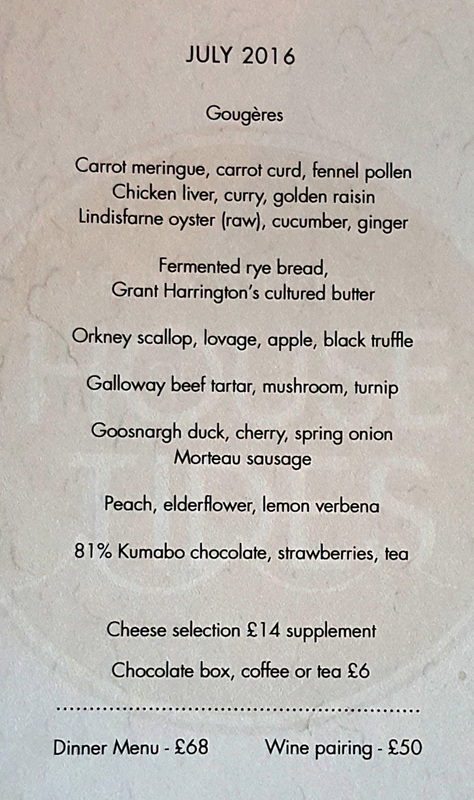 There you go Kenny, A Classics menu of your very best over the years – As if you haven`t got enough to do. 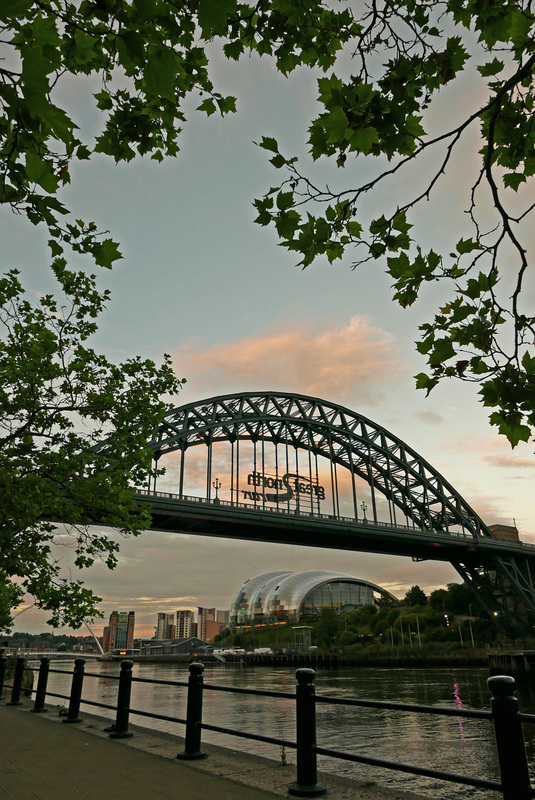 Next Post Forest side – All systems GO.